“Oh yea, you can post it up for free and then whoever reads it, uh - reads it.” Mentally whacking myself for not being able to describe blogging properly in Chinese. Yeah, this rojak is pretty good. Think Robyn from Eating Asia featured them before. 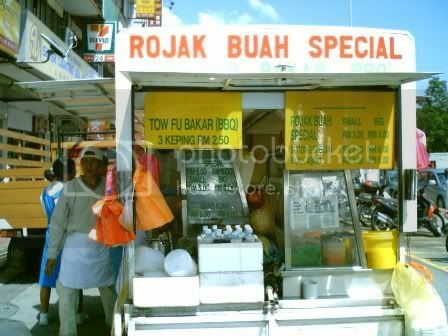 I often wonder abt the other rojak man that seems to take over after this van leaves, wonder if his rojak is nice or not? we always pong charn this stall one!!! 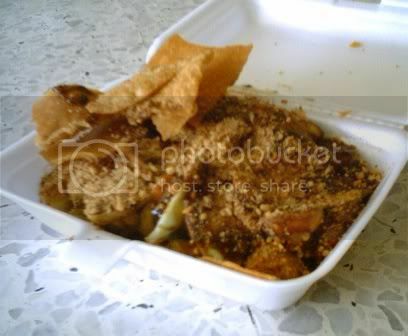 OMG, I love rojak!!! Shoik leh!!! Saw the lo shee fun....made that at home once and it was a hit!!! Love it so so much!!! Boo, I think earlier was the rojak man's father occupying the exact spot, now I think I saw the old man near D Utama's former Fajar area. Rokh, luv the cuttlefish in the rojak! reminds me of gurney drive in Penang. U seem to be exploring TTDI pretty well already. 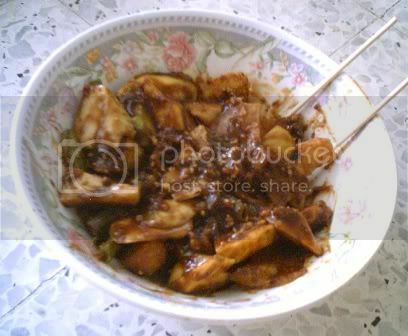 jadepearl, i love rojak and lo shi fun too! tazz, sometimes i would do that too!